The Republicans’ Profane Attack on the Sacred Right to Vote | Democracy Now! There is a database housed in Arkansas with your name in it … that is, if you live in one of the 28 states participating in the Interstate Voter Registration Crosscheck Program. It’s one of the growing components of an aggressive drive across the U.S. by Republicans to stop many Americans from voting. Early voting has already begun in many states in the 2014 U.S. midterm elections. Control of the U.S. Senate hangs in the balance, as do many crucial governorships, congressional races and ballot initiatives. One question looming over this election is just how significant will be the impact of the wholesale, organized disenfranchisement of eligible voters. Investigative journalist Greg Palast, along with documentary filmmaker Richard Rowley, crisscrossed the country, documenting the impact of the Crosscheck Program. His critical investigative reporting of the now-legendary electoral debacle in Florida in 2000 helped expose how Florida’s then-Secretary of State Katherine Harris oversaw massive, erroneous voter purges there, giving the presidency to George W. Bush in what remains the most controversial presidential election in U.S. history. “Now, it’s a decade and a half later, and I’m hearing the cry of ‘voter fraud. 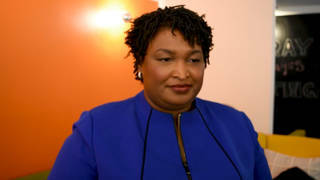 There’s a million people committing voter fraud.’ Is there really this big crime wave?” Palast asks in his two-part special on alleged “double voting” produced for Al Jazeera America. Click here to read the full column posted at Truthdig. 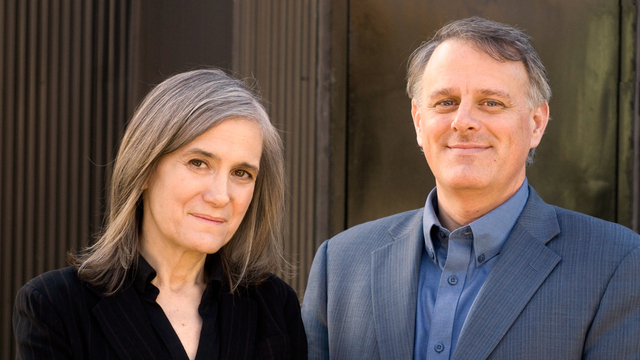 Listen to and share Amy Goodman’s podcast on SoundCloud.